Vladimir Potanin is one of the richest people on the planet who has been the leader among Russian and international billionaires for 20 years. 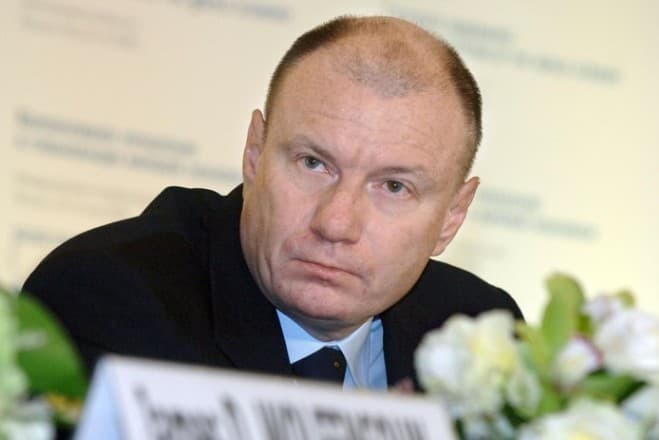 Vladimir Potanin is the owner of Russian largest investment company Interros, and also owns controlling stakes in Norilsk Nickel, the Mining and Metallurgical Company, the Russian media holding company Prof-Media and the Rosa Khutor ski resort in Krasnaya Polyana. 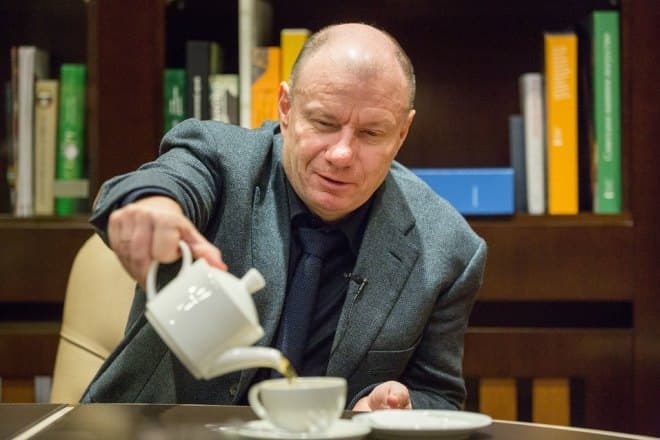 Vladimir Olegovich Potanin was born on January 3, 1961, in the Russian capital in the family of the trade representative of the Ministry of Foreign Trade of the USSR, Oleg Romanovich, and doctor, Tamara Ananyevna. Vladimir became the first and only son of his parents, who did their best to bring up their son. Due to the position of his father, Vladimir belonged to the category of elite youth by the standards of the Soviet time. But the son didn’t cause his parents any troubles. In childhood and adolescence, the future billionaire grew up as a gifted boy. The boy was fond of studying foreign languages and sports, and he was an exemplary student at the school. Thus, upon graduation, Vladimir could easily enter the Faculty of the International Economic Relations at Moscow State Institute of International Relations (MGIMO). The young man graduated with the diploma in International Economics and he followed his father’s footsteps taking up the position in the Ministry of Foreign Trade of the USSR, where he worked for 8 years until the early 1990's. 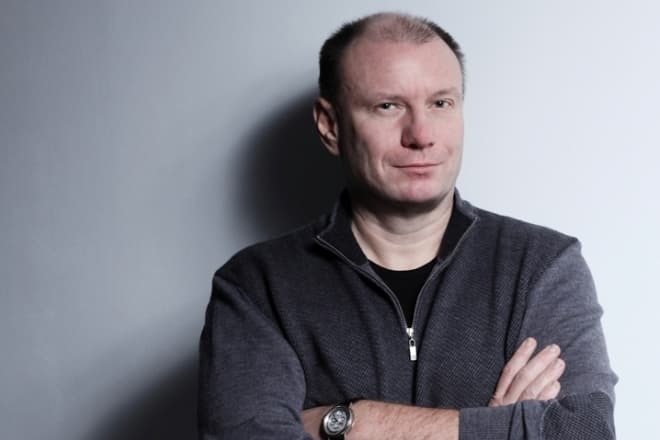 Vladimir Potanin’s business career began to develop in 1990 when he founded and headed his own Interros investment company. The same year, the businessman met Mikhail Prokhorov, who later became Potanin's main business partner. The businessmen founded International Financial Club bank, whose president was Potanin. This financial institution is considered the first licensed bank in Russia, as all of the Soviet holdings of the International Bank for Economic Cooperation worth $ 400 million along with the bank's clientele were transferred there. Later, Vladimir Olegovich became President of the ONEXIM Group, which is currently at the TOP 5 of the largest banks in Russia. 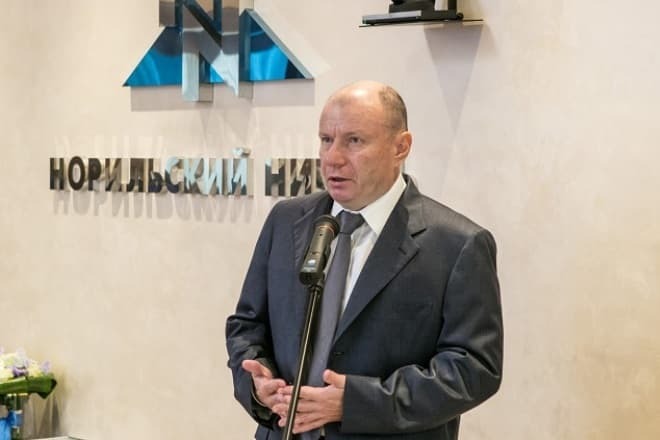 In 1995, Potanin bought a controlling stake in the Russian Mining and Metallurgical Company Norilsk Nickel, and in 1997 created the media holding company Prof-Media, which included the largest Russian media such as Izvestiya, Afisha, Komsomolskaya Pravda, Bolshoi Gorod. 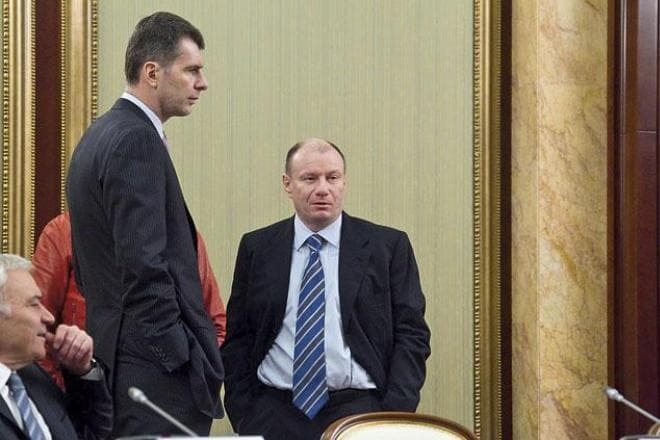 In 2007, Vladimir Potanin announced the division of business with his long-time partner, Mikhail Prokhorov. This process lasted for several years and resulted in a serious conflict. Other Russian influential businessmen joined Potanin and Prokhorov’s "war", which led to a major scandal between former friends with broad media coverage. Nowadays, main Potanin's activity is the development of the Interros and Norilsk Nickel companies. Vladimir Potanin has cooperated with Alisher Usmanov, the owner of Metalloinvest, to develop his own business projects. Businessmen plan to create an International metallurgical company through the triple union of companies. It will be the leader in the production of nickel, iron ore and aluminum on the planet. In addition to business, billionaire Vladimir Potanin has regularly participated in the political life of the country during his career. In 1996 Vladimir Potanin was appointed the first vice-premier of the Russian Federation. The businessman dealt with economic issues. At that time, Potanin also headed 20 federal, interdepartmental and government commissions on Russia's monetary and financial policies. Potanin also became the manager of the Russian Federation in the IBRD and the Multilateral Investment Guarantee Agency. In 2006, the oligarch joined the Civic Chamber of the Russian Federation, where he became Chairman of the Charity Commission. Thanks to the initiatives of this commission, the Government adopted federal laws that supported the development of public organizations and NPOs, and philanthropists got tax benefits. Vladimir Potanin’s charitable work plays an important role in the biography of the businessman. Potanin’s charitable organization has been working for 20 years. It carries out activities aimed at the development of culture and education in Russia. The Vladimir Potanin Foundation offers scholarship programs for talented students. The Foundation has an official website, where the details of its work and requirements to the beneficiaries are posted. The charity program really helps students and teachers. The Foundation seeks to create “the conditions for revealing of creative potential, the development of creative thinking, the development of opportunities for professional and creative realization”. 26,000 students and 2,000 teachers from 83 Russian universities have received grants and scholarships for 20 years. In addition, the charitable Foundation holds activities to support cultural initiatives and philanthropy. The site has announced lectures and seminars about the work of Nonprofit organizations in Russia. Since 2003, the billionaire became the head of The Board of Trustees of the State Hermitage Museum. He invested $ 5 million from his own funds in the museum. In 2006, Potanin took full responsibility for his native MGIMO and donated 6.5 million dollars in its endowment fund. In 2013, Vladimir Olegovich joined the Giving Pledge charitable organization, thus, agreed to transfer at least half of his fortune to charitable needs. He became the first Russian businessman to take such a courageous step. 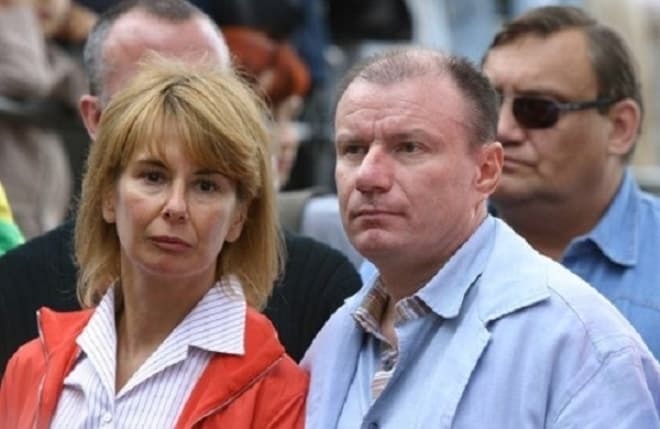 Vladimir Potanin’s personal life has always been the subject of the interests of the general public. He married his childhood friend Natalia during his student years. They lived in marriage for more than 30 years. During this time, three children Anastasia, Ivan and Vasily were born in the Potanin family. The elder children of the billionaire are Aquabike Russian and World Champions. In 2014, the strong and large family of the oligarch fell apart. The initiator was Vladimir Olegovich. According to the wife of the billionaire, his statement about the divorce became a shock to her, but they could not keep the marriage alive. Potanin's divorce proceedings were great and long. They still have not solved all financial issues, since businessman’s wife insists on the division of the property acquired during the marriage. 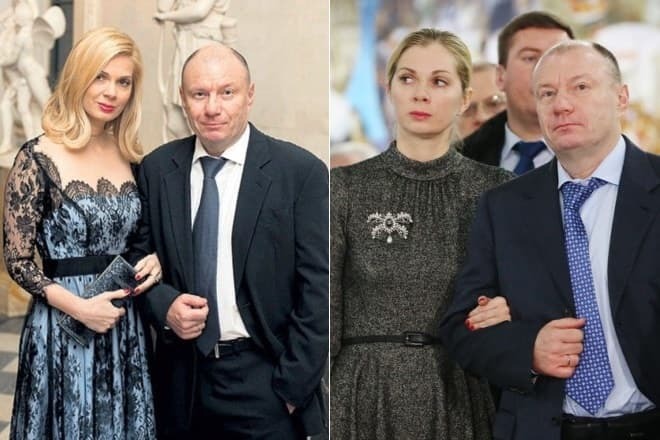 After the divorce with Natalia, Vladimir Potanin married for the second time. His wife Yekaterina was 14 years younger. At the time of their wedding, she brought up three-year-old daughter Varvara. According to open sources, the father of the girl is Potanin. In 2014 Forbes magazine reported that the oligarch had the fifth child. 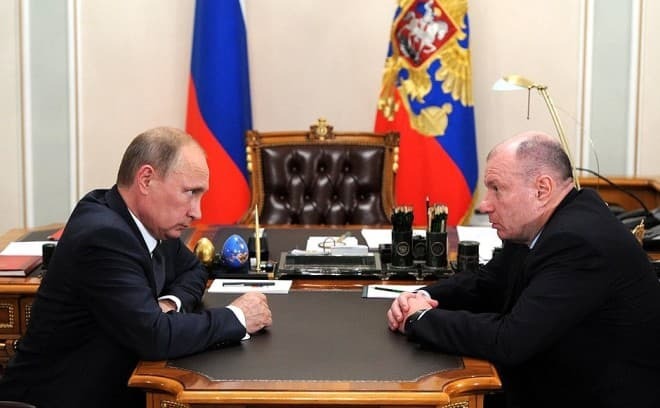 In January 2016, Vladimir Potanin's fortune was estimated at $ 12.1 billion, which allowed him to take the fourth position in the rating of Russian richest people. Compared to 2015, the oligarch lost $ 3.3 billion, thus, he lost leading position among Russian billionaires and the title of the country's richest man. According to Forbes magazine, Potanin was the 8th richest Russian billionaire and took 77th position in the world in 2017. The businessman's fortune was estimated at $ 14.3 billion. Nevertheless, Vladimir Potanin spends part of his income on charity. For example, the businessman donated $ 5 million to the Hermitage endowment fund. 1990 - President of the Interros Foreign Trade Association.